For years, dental students from Barts And The London have enjoyed month-long residential placements at Southend-On-Sea, ailing the dental woes of the local populace, whilst gaining vital clinical experience in the process. Such placements proved to be highly popular and were regarded by many former students to be “the best part of Year 4”. So, when we – the class of 2017, were told that we’d be travelling to Southend on a weekly basis instead, I wasn’t quite sure how to feel. On the one hand, I was disappointed at the thought of undertaking such a lengthy commute every Friday, whilst on the other, I was slightly relieved that I wouldn’t have to live under the same roof as my clinical group. Not because I dislike them (that much), but because I knew that if I had, it would only have been a matter of time before Aubergine – the vegetarian of the group, irritated me enough to end up in a stew. 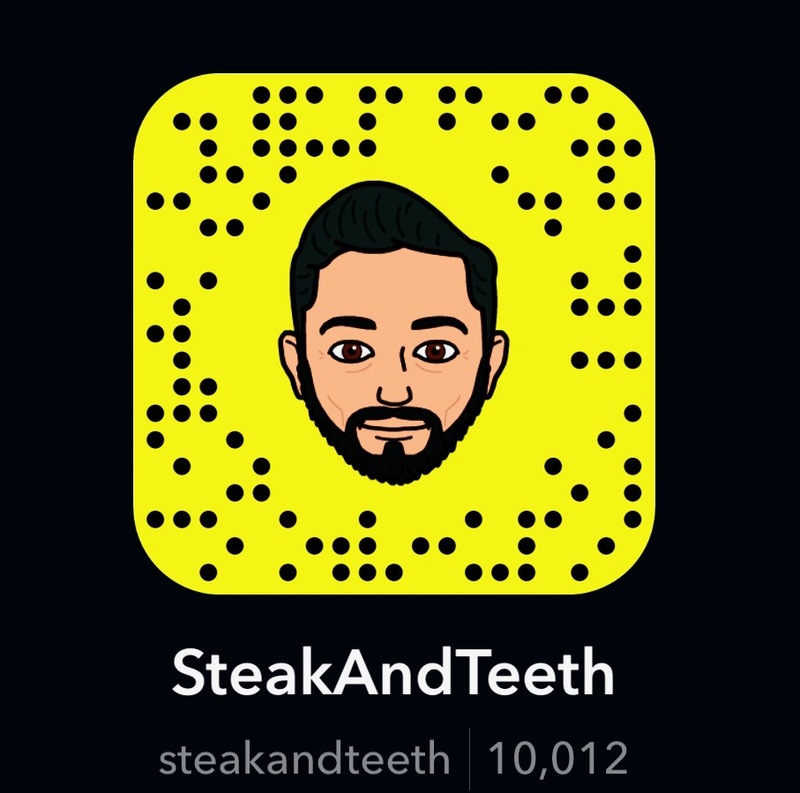 Deciding to make the most of my weekly exile, I searched high and low for interesting halal eateries in central Southend, and instead, stumbled across a quirky little coffee shop in the heart of the high street. 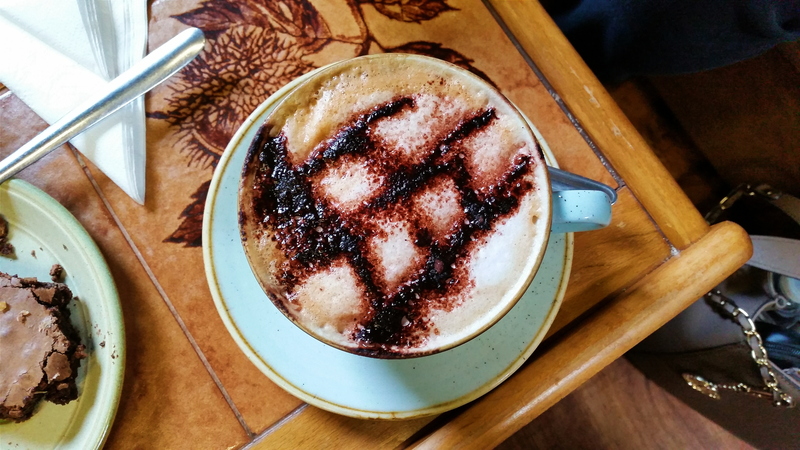 Armed with their very own coffee-roaster and an array of cakes and sandwiches, Utopia Coffee Lounge declares itself to be a space for “conspiracy theorists, open-minded folk, and people trying to be a little bit different”. Whilst, if you were to mash these three target audiences together, you’d probably end up with a group of mentally-unstable hipsters,I decided that such eccentricity was a safer bet than facing – as Utopia puts it – “the living dead who go to the chains next door”. 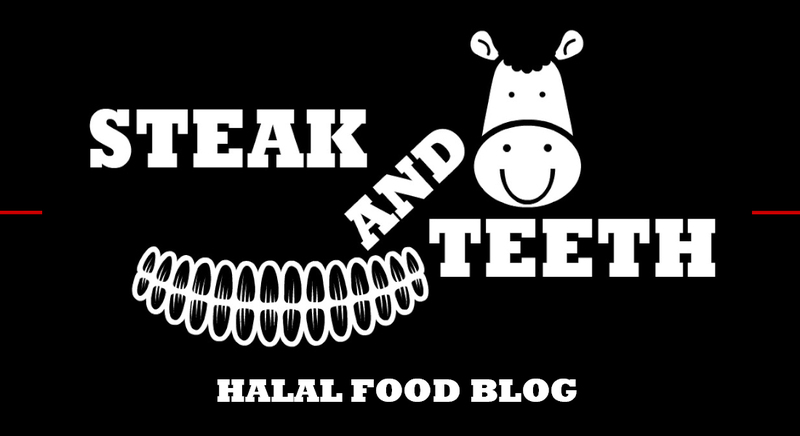 Note: No halal meat is served here, but non-meat / vegetarian options are available. Having visited Utopia on numerous occasions throughout the year, I’ve been able to sample a much greater array of drinks and food items than I usually do at a coffee shop. As always, I began my testing with a flat white, which possessed a thick layer of delicate microfoam, and a delicate bitter touch. Though slightly unbalanced by an excess of milk, it delivered a very mellow and soothing tone, which was perfect for the moment of peaceful solitude that I had been seeking that evening. Already, I was confident that this cosy cafe could be my little piece of bliss in Southend. Just a few weeks later however, and my secret den had become exposed, as Aubergine , Mrs. Bean, Little Miss Worry and Curious George barged into the one place I thought I could escape from them. In a last ditch effort, I tried to hide behind my large cappuccino, but alas, it wasn’t quite large enough, and my dearest colleagues detected the gravitational field of my gigantic forehead from a mile away. The cappuccino was presented with a very thick layer of foam, which possessed a lovely essence of cocoa, and though it was thin in body and moderate in strength, overall, there was a reasonable balance between the constituent espresso, steamed milk, and froth. Whilst I rarely venture beyond flat whites, espressos and cappuccinos, Utopia’s “white chocolate mocha” intrigued my sweet senses. Momentarily shapeshifting into a teenage American girl, I placed an order, and found the mocha to deliver a strong, smooth sweetness and a strong essence of white chocolate, which was subsequently followed by a slightly subtler aftertaste of coffee. Personally, I would’ve liked a greater balance between the coffee and the hot chocolate – (the latter of which took a greater dominance), but overall, it was a pleasant and palatable drink. Strangely however, the espresso I sampled was far less impressive. It possessed a thin layer of crema, a light, shallow bitterness, and a mild citrus tang, and overall, it failed to deliver anything substantial in terms of flavour. This disappointing cup, along with a second flat white that had been slightly burnt, highlights the only major problem I’ve come across at Utopia – a lack of consistency. 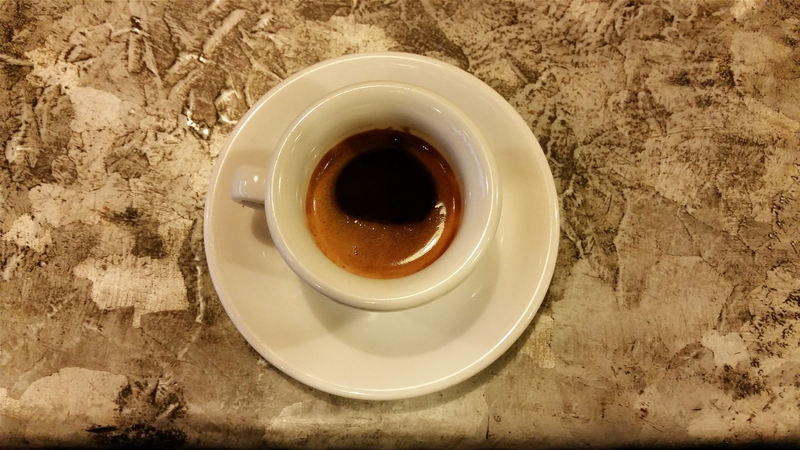 Generally, all the cups of coffee I’ve sampled have scored in the range of 2.5 to 4, and it’s clear that more attention and focus is needed to eliminate common mistakes. Utopia also serves a range of milkshakes, hot chocolates, and teas, which is ideal for unenlightened non-coffee-drinkers like Aubergine. Whilst vegetarianism is often associated with a clean and healthy lifestyle, Aubergine seems to run in the other direction, filling the cold, empty, meatless void in her life with a diet of sugar and whipped cream – as exemplified by her choice of a peach milkshake. Alongside its thick and dense consistency, it delivered a powerful, creamy, and yoghurt-like flavour of peach, with a sharp and pleasantly pungent aftertaste. In my opinion, it was a little too rich and overbearing, and given that Aubergine shared it with everyone in the first place – she probably agreed with me. Having enjoyed Utopia’s white chocolate mocha, I decided to give their standalone white hot chocolate a go. Although it possessed a strong flavour of white chocolate, which blended in well with the topping of whipped cream, it quickly became a little sickening for my liking. If you do order one, be sure to keep your cup away from any diabetics, as you’d probably kill them by simply keeping it in the same room. 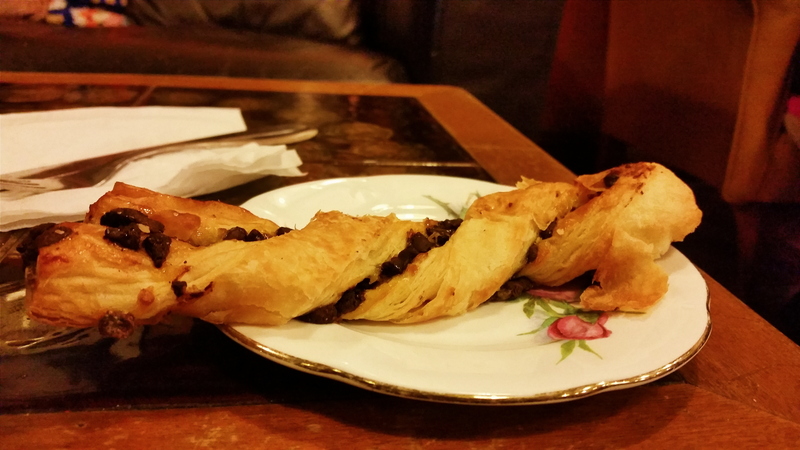 The first of many food items I sampled at Utopia was a chocolate twist, which was of a surprisingly good quality. The pastry was strong, firm, and thick, with a soft texture that could be cut with ease. Meanwhile, the milk chocolate filling delivered a delicate chocolate flavour that was neither too weak nor too rich. 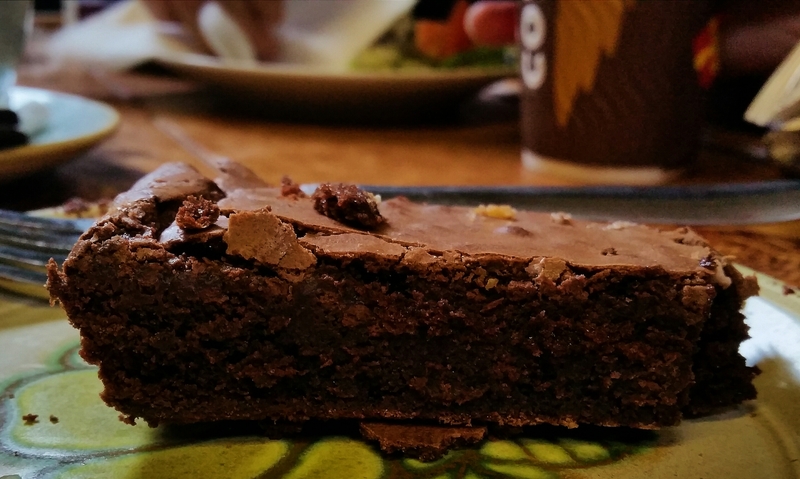 Curious George also let me pinch a piece of her chocolate brownie, which was thick, soft, and moist within. As a result of its firm coat, and its light internal density, it crumbled in the mouth to deliver a rich and smooth sweetness. Frankly, it took me straight back to the time I spent as an obese young child who had to wear two P.E kits at the same time, and was always given the role of goalkeeper to ensure that the opposing team had no space to score. 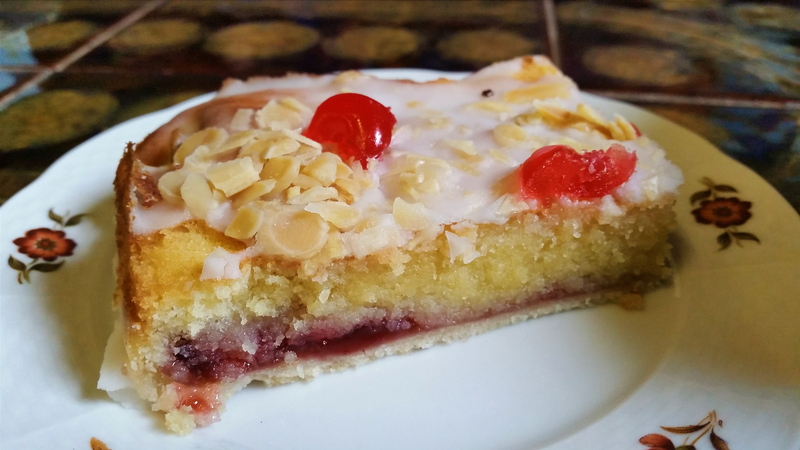 As well as brownies, cherry bakewell tarts were another weakness of my childhood, and as a result, I simply could not resist Utopia’s own cherry bakewell cake. Filled with cherry jam and encased within two layers of icing, it delivered a strong, rich essence of almond, and a quintessential cherry bakewell flavour. The soft, moist, and crumbly cake meshed together with the cherry jam, and along with the contrasting crispiness of the almond slices, created a satisfying variety of textures within the mouth. However, whilst Utopia do well with their cakes and sweet treats, their sandwiches fall a little short, owing mainly to the quality of the bread, which is average at best. Pictured below is a tuna melt panini, which was simple and satisfying, but ultimately – a little boring. Generally, coffees range from £2-£3, whilst milkshakes cost around £3-£4, and cakes and pastries – both small and large – range from £1.50-£4. 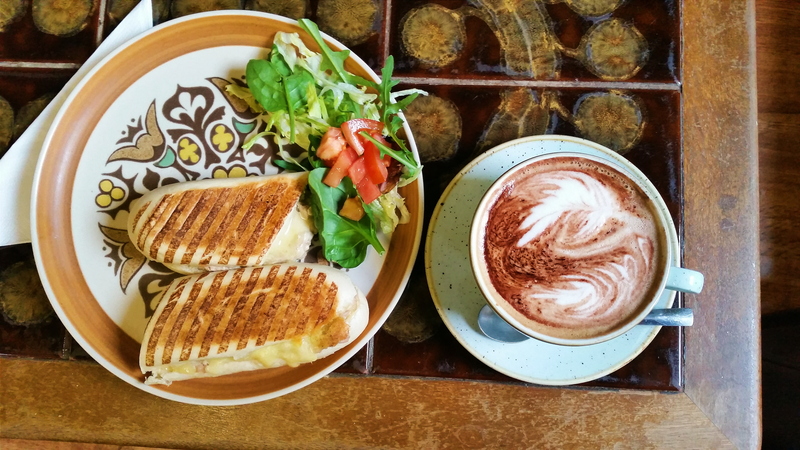 Utopia also offers a panini and any medium hot drink of choice for £4.95 as a lunch-time deal. To put it into perspective, a panini costs £4 alone, so you’d have to be a bit of a fool to buy a panini alone. Overall, the prices at Utopia are in line with the expectations you’d have of a coffee shop outside of the extortionate capital of London, and although the calibre of the coffee and the food isn’t always top-notch, it’s a small price to pay for the relaxing space that Utopia offers. As for the service – there is quite simply nothing to fault whatsoever. From welcoming everyone who walks in to literally rearranging the furniture to accommodate for large groups, staff members at Utopia go above and beyond to ensure that their customers are well looked after. Service is also remarkably speedy and efficient, and in most cases, your order will be with you before you’ve even had a chance to settle in. Utopia’s coffee lounge is spread over two floors, and every inch of the cafe oozes with comfort and homeliness. On both floors, you’ll find a range of comfortable armchairs and sofas – and even a set of airplane seats – arranged around dark wooden coffee tables and crates. Some are fabric, some are leather, and some are draped in knitted cloths and shawls, creating an environment that could almost resemble a grandmother’s living room. Generally, the ground floor is rather tame and grown-up in its decor, whilst the first floor better resembles an unruly teenager. From colourful doors hung up on the far wall to the large overhanging canoe, there’s certainly enough character and quirkiness to appeal to one’s childish nature. 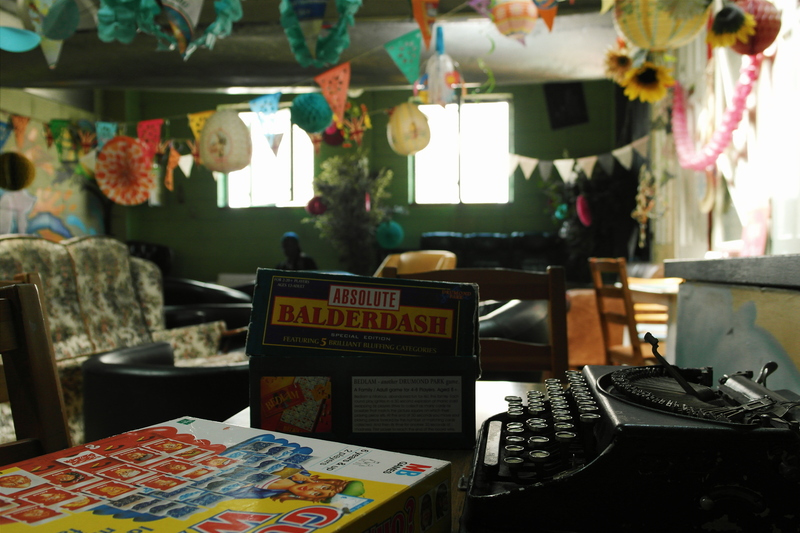 Indeed, with a vintage typewriter, worn-in piano, and an assortment of books and board games littered around, there are plenty of things to play with – whether you’re visiting alone or as a group. (Though you may look a little tragic playing a board game by yourself). The cafe can be found adjacent to The Royals Shopping Centre, and is a quick five to ten minute walk from Southend Central station. As already alluded to in the previous section, Utopia possesses a phenomenally relaxing environment. 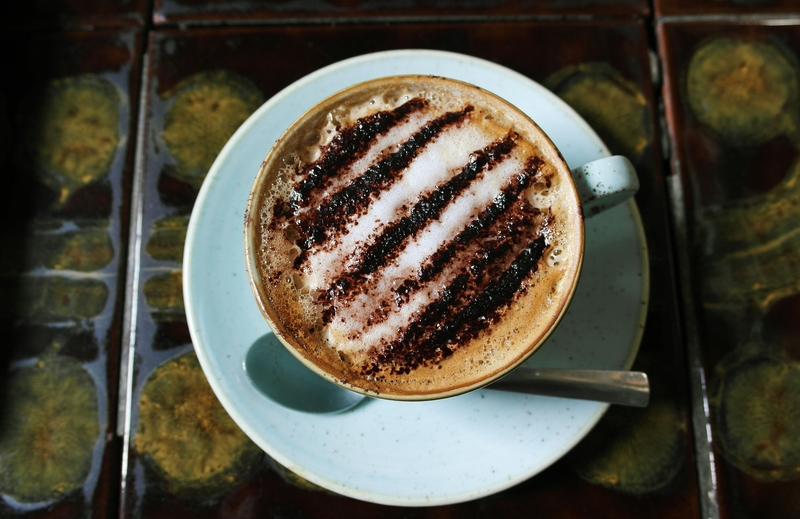 As you sit back in a cosy armchair and sip your warm brew of coffee, all the tension and frustration seeps out of you, and you can’t help but forgive whatever mistakes the barista might have made in their espresso-pull or their milk-pour. Given how critical and particular I am when it comes to coffee, you can imagine just how placating the ambience must be for me to be so merciful. Whilst ice-cream, fish and chips, and satanic seagulls are the usual associations that come to mind when one thinks of Southend, Utopia Coffee Lounge provides a memorable experience that is just as rejuvenating as a dip in the sea, or a stroll down the beach. 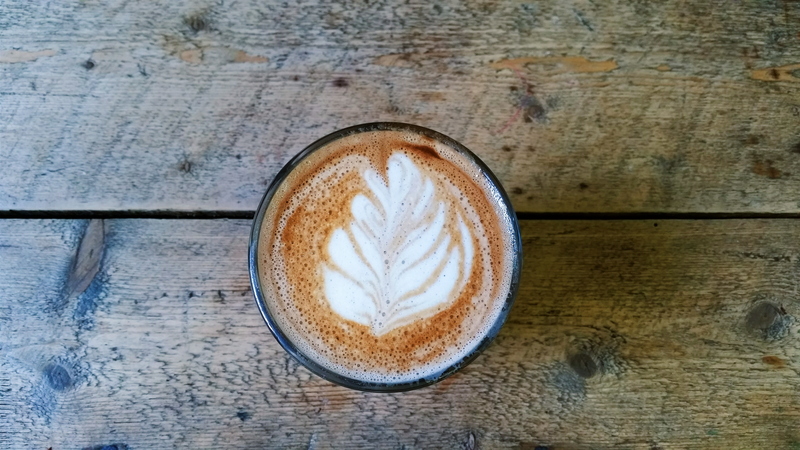 Although their coffee is by no means phenomenal, and their consistency is a significant weakness that needs dire attention, on the whole, Utopia is a delightful little coffee shop that provides a comfortable and versatile space that you simply would not expect to find in Southend. In a seaside town, coffee and cake are probably the last things to cross your mind, but Utopia is one destination that is well worth considering – if not for the food and the coffee, then at the very least, for the chance to wind down and feel truly renewed.